Bionic just unveiled a revolutionary new tool that enables real-time, collaborative media planning. You’ve got to see it to believe it! Media planning is a fast-paced, team-based activity. Everyone needs to be on the same page and working together to successfully achieve the goals of the advertising campaign. This is especially true if you work in a team with a big advertising budget and a challenging media brief. Unfortunately, most media planning tools force you to work alone. They fail at teamwork because they were not built for collaboration. They were built for lone wolf media planners. In the worst case, you work offline with Excel or in a PC-based media planning tool. You’re stranded on your own desert island with no way for you to get real-time input from your colleagues. Even if you’re working with an online media planning tool, you will probably still find yourself working alone. That’s because most media planning tools were not built for real-time collaboration. 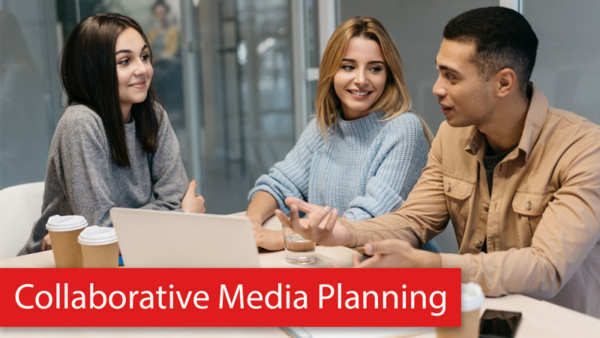 As a result, you’ll often find yourself working on an old version of the media plan. Then your changes get clobbered by someone else’s update. Grrr. If you’ve ever worked in Google Sheets or the new Microsoft Excel, you know what it’s like to work in an online collaborative workspace. You always have the current version. Nobody else clobbers your changes. You can see who else is working on the spreadsheet. You can see the changes they make. You can see a complete history of the changes. You feel like you are part of a team! These are great tools, but as everyone knows, spreadsheets don’t cut it for media planning. That’s because spreadsheets lack important media planning tools, don’t enforce standards, don’t save to a database, don’t integrate with other systems, and generally don’t work well because they were not built for media planning. If you’re already using Bionic, you already have these powerful new tools! Your account was automatically upgraded for free as part of your subscription. Go to any media plan and you will find the new features. Please let us know if you need any help or training.